Being a melting pot of many cultures, India has different kind of people following different lifestyles all through the country. Naturally, the cuisine prepared by each region differs from one another. Here you can see te difference not just between different states, but within the state as well. Therefore there are so many different kinds of cuisines to try. For a foodie, this is nothing but pure pleasure. Food based on the main crop grown in the region is mostly followed and still you can see a significant difference in taste between different places. This article is about all those places you must visit in South India, especially for their lip-smacking and unique cuisines. Mangalore is a haven for both vegetarian and non-vegetarian foodies. Seafood seasoned with coconut milk, spices and tangy vinegar is a specialty. Neer dosa is a popular dish in Mangalore that tastes out of the world with fish curry or coconut chutney. Other fantastic dishes that you must try at Mangalore includes Pathrode, which is steamed and stuffed colocasia leaves, Mangalore buns, Goli Bajji to name a few. The land of Nizams, Hyderabad, has a legacy of many Mughal rulers in the past, the presence of which can still be seen in the form of monuments like the Charminar, Falaknuma Palace, Mecca Masijd, etc., and of course, in their culinary culture. Hyderabadis excel in Mughlai cuisine, therefore you must try their spicy and excellent biryanis. Some other dishes that'll leave you utterly satisfied with the trip to Hyderabad include Haleem, Boti Kebab, etc. Taste the delicious local cuisine of Coorg, where earthy, local produce is used to make the distinct food items. Pandi curry or pork curry is a specialty at Coorg, which is usually eaten with either fluffy akki rotis (rice rotis) or with kadambuttu (rice dumplings). Enjoy the breathtaking vistas of Coorg's tea plantations spread across the hill slopes, while having a cup of tea along with these dishes for a delightful vacation. Malabar is actually a region that falls between the Western Ghats and the majestic Arabian Sea. Southwest coastline of India that is beside Karnataka and Kerala was historically referred to as the Malabar Coast. This region being thoroughly influenced not only by the locals but also from the traders travelling to the coast, has created unique flavours that blends it all. Mainly, Malabar dishes includes spices and coconut. Ambur, a small town in Tamil Nadu is nestled on the banks of river Palar. Situated halfway from both the cities of Chennai and Bangalore, Ambur is almost synonymous to biryani. It is a town that has many stories of biryani fanatics. It is said that the biryani is made of small grain rice called seeraga samba which is one of the many things that makes Ambur biryani so delicious. 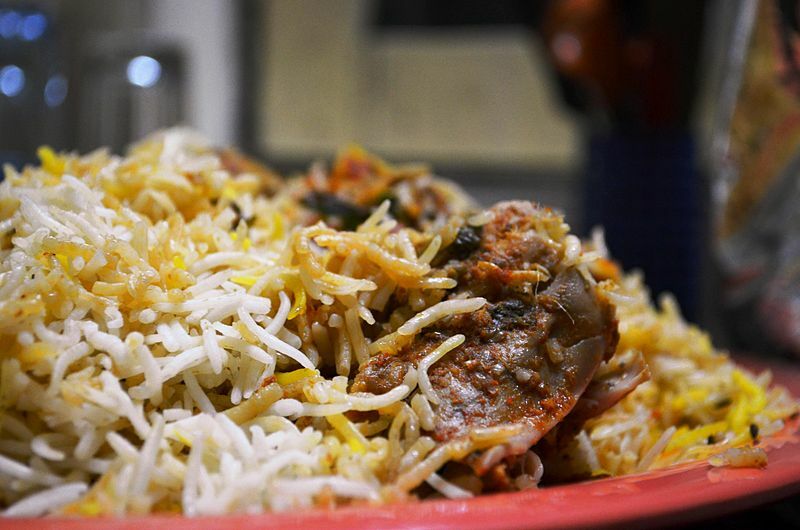 Pack your bags and hit the road to head to Ambur for a fantastic biryani meal on a weekend. Chettinad is a popular cuisine throughout the country, due to the region's distinct taste of spices in their food. The food is influenced by the social caste called Chettiar, who were traders of spices and salt. Taste their flavoursome Chicken Chettinad or seafood like fish, prawns and more all made in a unique Chettinad style of cooking. Pondicherry is the place to be if you wish to eat classic South Indian dishes like idli, dosa, etc., on one hand, and try continental cuisine on the other. Influenced by the French since they ruled Pondicherry for a long time, you can find some of the finest French restaurants lining the stunning beaches of Pondicherry. Have delicious South Indian thali for lunch and try new Italian dishes for dinner on your vacation at Pondicherry.